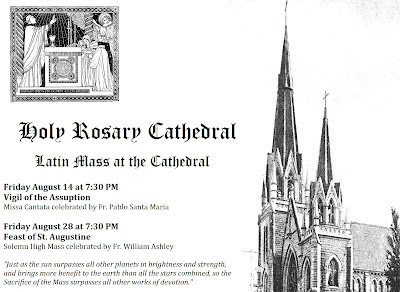 Holy Rosary Cathedral in Vancouver, British Columbia, will have a Missa Cantata in the Extraordinary Form on the vigil of the Assumption, August 14th, and two weeks later a solemn Mass on the feast of St Augustine. The cathedral is located at 646 Richards St in Vancouver. There will be a Solemn High Mass on the feast of the Assumption at Epiphany Catholic Church in Tampa, Florida, located at 2510 East Hanna Avenue, to be celebrated at 9am in the main church by the pastor, Fr. Edwin Palka; the deacon will be Fr. Philip Clement; and the subdeacon will be Fr. Paul Mangiafico, who has served for many years as the chaplain for the local Traditional Latin Mass community. 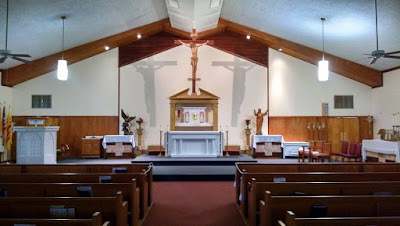 Mass will be followed by a holy hour and confessions. 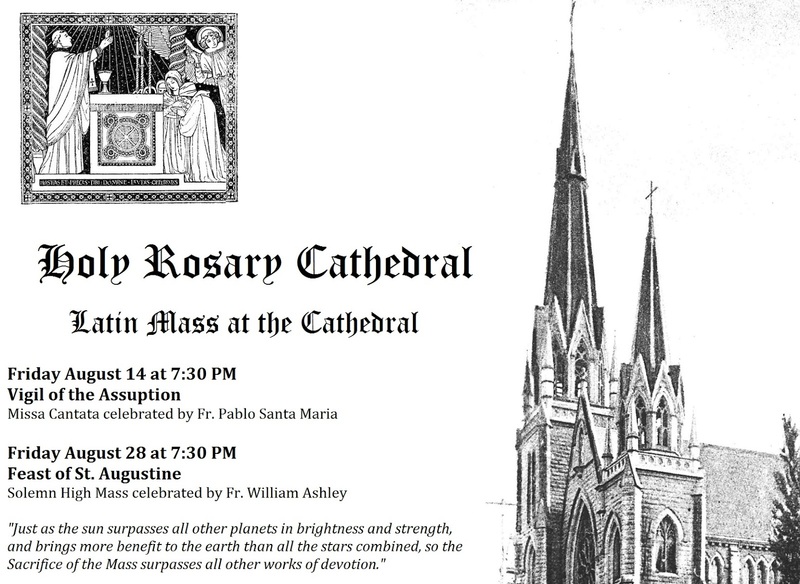 More information on the parish website.